TOYOTA Australia has announced the recall of more than 12,000 second generation Toyota Prius hybrid cars to fix a potential steering problem. Worldwide the recall effects other models and has forced the company to recall more than 2.7 million vehicles around the globe for the issues related to the water pump and steering. Japan's biggest automaker said there were no reported injuries or accidents, but it had received about 400 complaints in Japan over the pump issue and a handful about the steering problem. Toyota Australia says it has received three reports of the problem on local Prius models but none resulted in accident or injury. 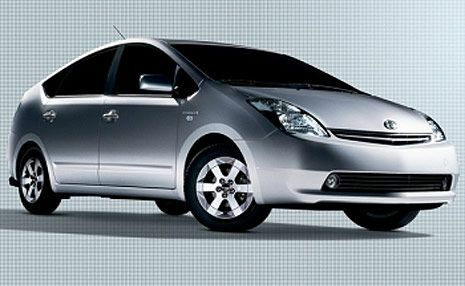 According to a statement from Toyota Australia the Prius problem relates to the steering of the second generation model built between May 2003 and April 2009. "The recall is due to the possibility that the steering intermediate extension shaft may not have been adequately hardened at the time of production," the statement read. "If this occurred, the steering shaft may become loose while driving under certain conditions. This includes forcefully turning the steering wheel to full lock while driving at a slow speed or sudden contact with road gutters. "In the worst case scenario, if motorists continue to drive under these conditions the steering shaft may eventually wear out, resulting in the loss of steering ability." The company says it will replace the shaft with a new, harder one which should only take about one hour to complete at a Toyota dealership. The firm last month issued a huge global recall of 7.43 million vehicles, including its popular Camry and Corolla models, over a possible fire risk tied to a fault in its electric windows. Rivals Honda and Nissan have also announced recalls in the past year. Toyota's latest call back involves a number of vehicles manufactured between August 2000 and December 2011, including its popular Prius hybrid, which suffered from one or both of the defects, it said. In a worst-case scenario the steering issue could see drivers lose control of the vehicle, while the water pump problem could render it inoperable, the firm added. About 1.5 million of the vehicles were sold in Japan, with the remainder sold around the world, including in the United States and Europe. Toyota, once lauded for its safety standards, has been forced into damage control mode in recent years after recalling millions of vehicles over defects. Earlier this year it added two models to a controversial 2009 recall launched after floor mats became trapped under the accelerator, which was linked to accidents that allegedly caused dozens of deaths. Toyota's mishandling of the initial problem and other reports of sudden, unintended acceleration led to the recall of more than 12 million vehicles worldwide, a US congressional probe, more than $50 million in fines from US regulators and public apologies by its chief. Toyota has since worked hard to regain its reputation for safety, while at the same time fighting off the impact of the economic crisis, a strong yen and the devastating 2011 quake-tsunami disaster. The firm did not supply estimated costs of the latest recall but last year it pegged expenses from some earlier call backs at about 180 billion yen ($2.28 billion). The Japanese firm regained its position as the world's number-one automaker in the first half of 2012, stealing back the lead from General Motors. Toyota shares slipped 0.81% to 3,060 yen in Tokyo on Wednesday.